Early this morning, the solar powered plane, Solar Impulse II, piloted by Bertrand Piccard, landed in Abu Dhabi in the United Arab Emirates, completing a full circuit of the globe. The aircraft’s 17-leg journey involved 23 days of flying, covering a distance of 43,041 kilometres. “This is not only a first in the history of aviation; it’s before all a first in the history of energy. I’m sure that within 10 years we’ll see electric airplanes transporting 50 passengers on short to medium haul flights. But it’s not enough. The same clean technologies used on Solar Impulse could be implemented on the ground in our daily life to divide by two the CO2 emissions in a profitable way. 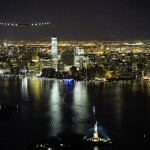 Solar Impulse is only the beginning, now take it further! ” said initiator, chairman and pilot Bertrand Piccard, addressing the crowd on arrival. 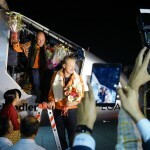 “We have flown 40’000 kilometres without fuel, but there is still a lot to be done to encourage a worldwide implementation of clean technologies and to motivate everyone to reduce their dependence on fossil fuels in their daily lives, hence the creation of the International Committee for Clean Technologies,” emphasized Bertrand Piccard. “Solar Impulse is of course very well positioned to contribute to the next generations of manned or unmanned electric aircrafts. By capitalizing on the engineering skills and expertise gained over the past decade, we will continue to work to encourage concrete innovations and disruptive solutions,” concluded André Borschberg. 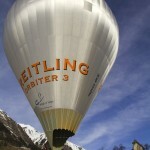 The video below shows highlights of their epic global journey.